Yeah! 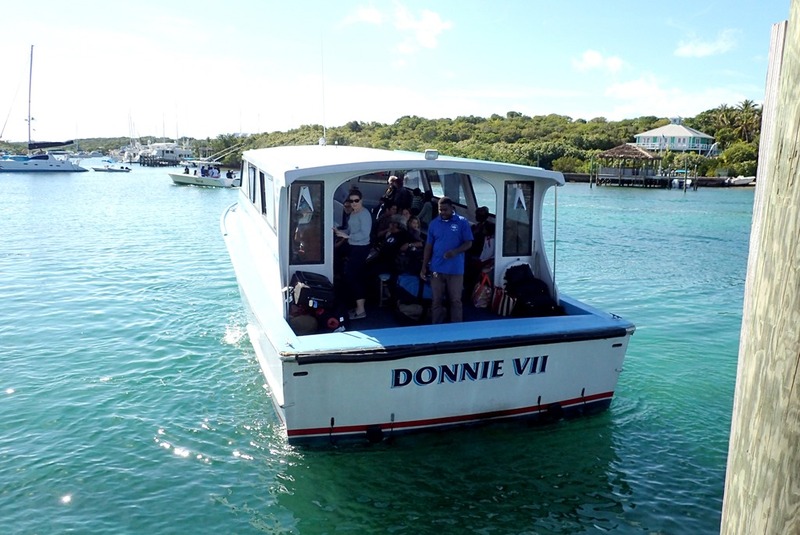 An early Christmas present – daughter Amelia, son-in-law Grant and grandson Reef arrived on Donnie VII, at the Lower Public dock on Sunday. Perfect weather all week. Of course, we went to the beach. 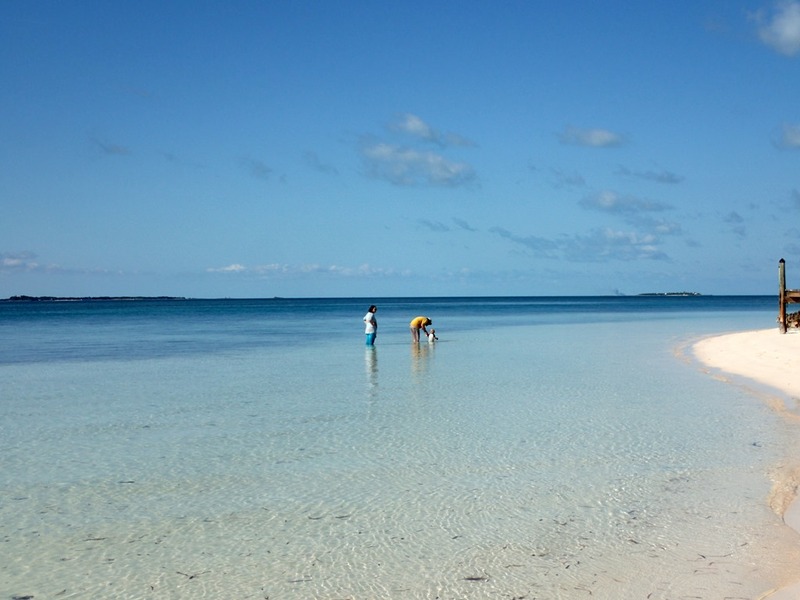 North, to Nathan’s Bay – a beautiful beach where low tide means ankle deep water. 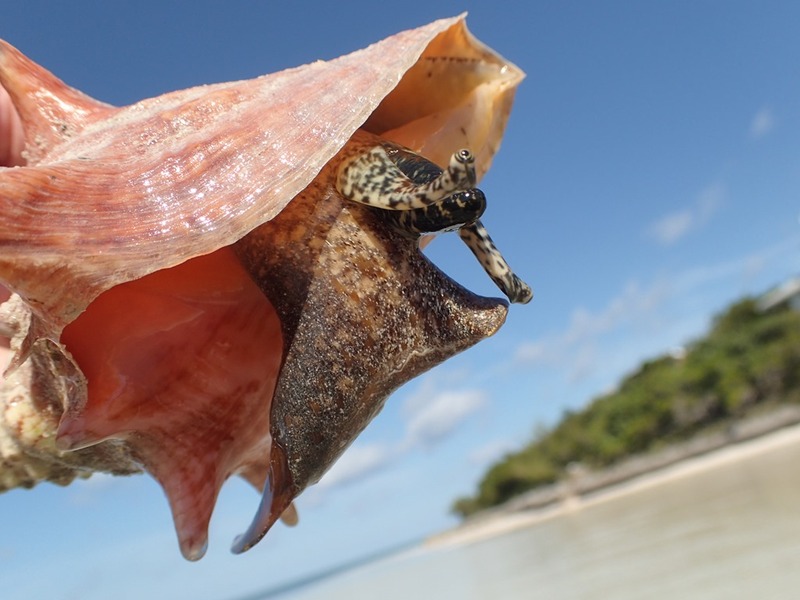 We found a friendly conch who came out to see us. 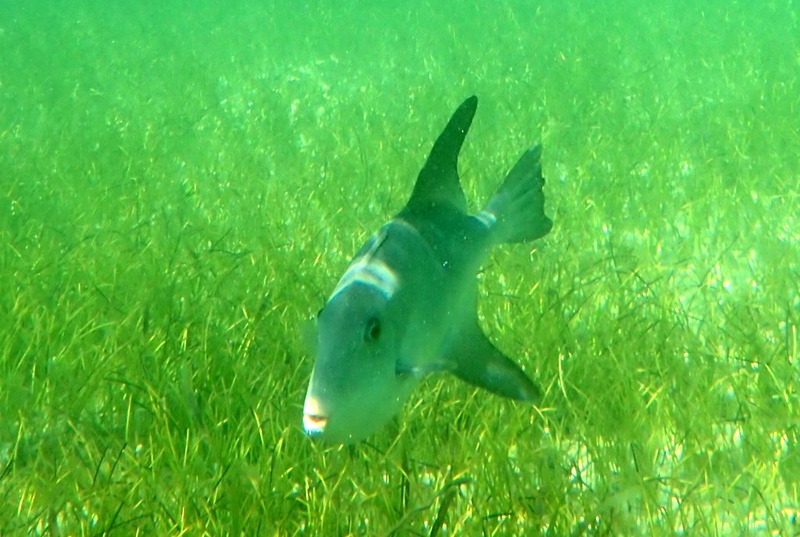 Even this fish was curious. 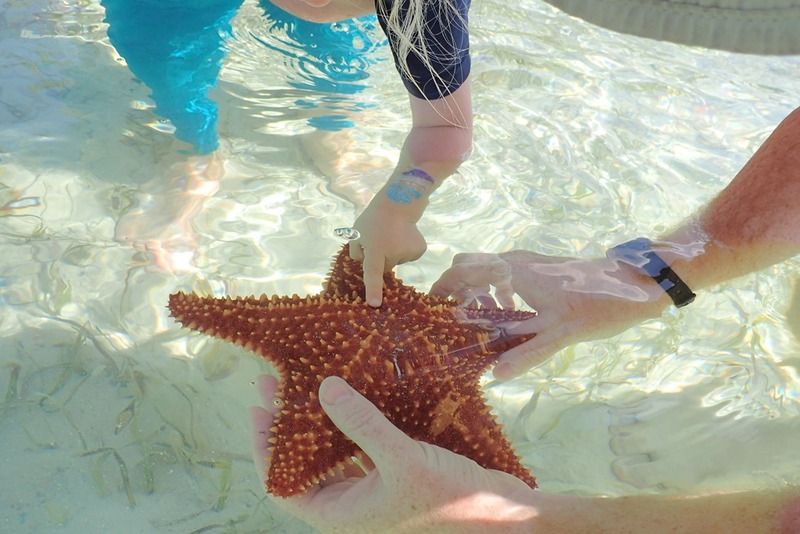 Ooooh, touching a seastar. Bumpy. 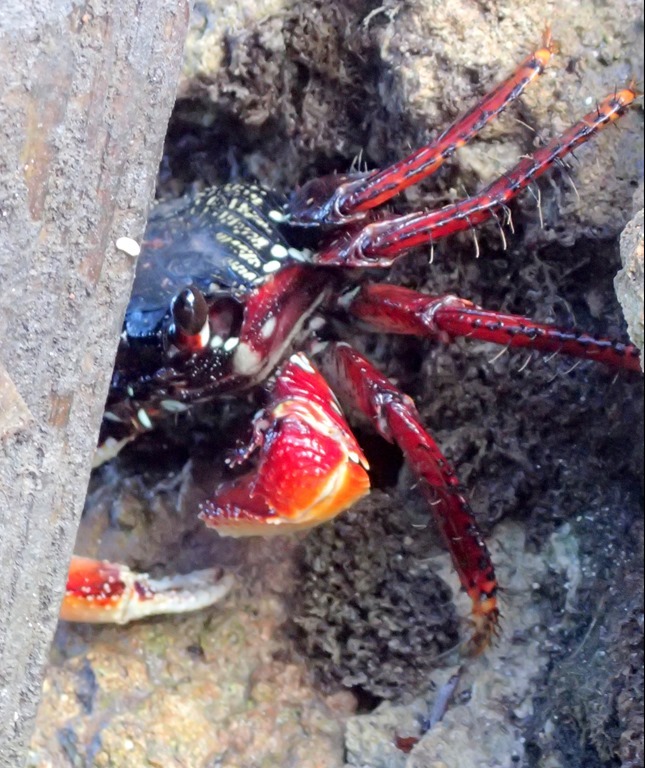 We watched crabs scurry along a rocky seawall. And we went swimming in the marina’s pool. 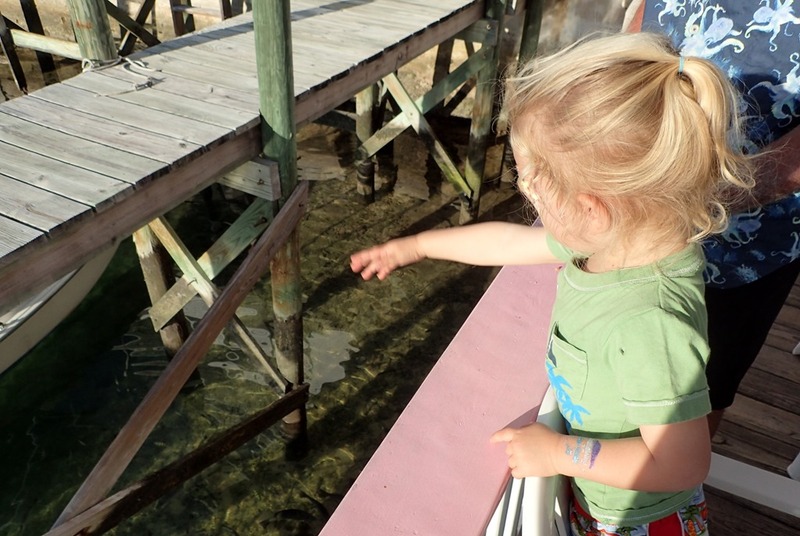 During lunch at Cap’n Jack’s, everyone at our table, the waitress and even fellow diners donated bread for Reef to throw to the fish. The most fun of all? RIDING IN THE DINGHY. 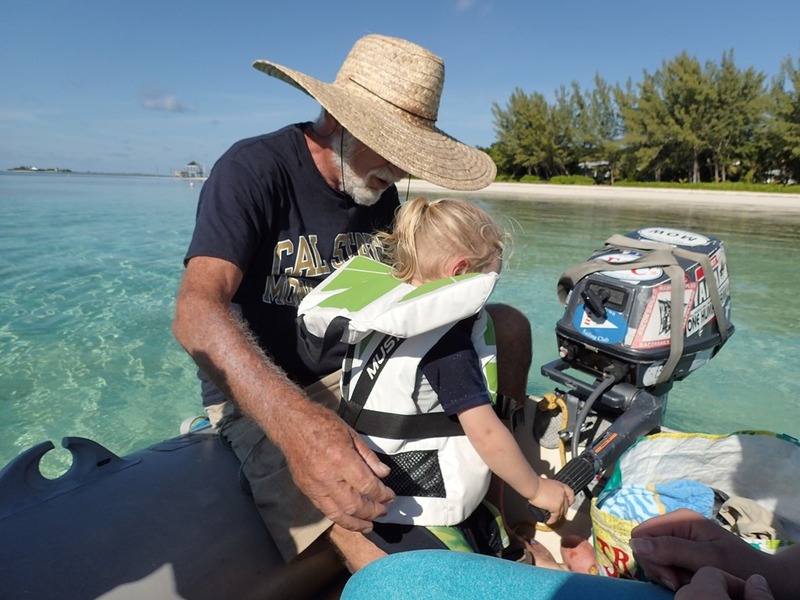 Reef even got to steer – with Grandpa’s help. Fun, fun, fun. 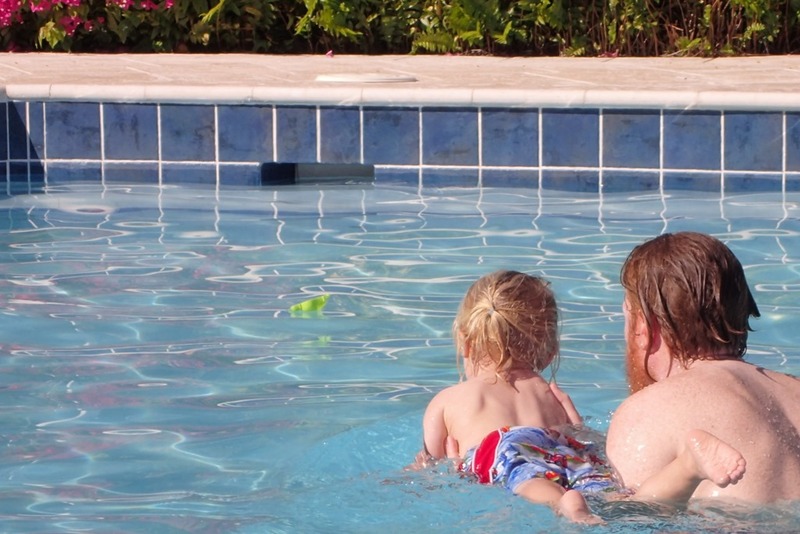 How adorable and what an awesome Christmas present to have the rest of the family with you….especially Reef. Merry Christmas to you all!! So glad your family was able to be together! What memories! Wish everyone a Merry Christmas from us! Thanks so much Lots of happiness here. Many memories. Hopefully we’ll sail on Saturday. But he gets pretty excited about a dinghy ride!. So nice to see photos and hear of happy family times!